Saturday, October 13, 2018 at 8:30 a.m. 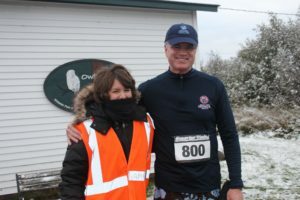 The 8th Annual Whitefish Point: Run for Light was a big success, with chilly temperatures, snow and over 100 participants! 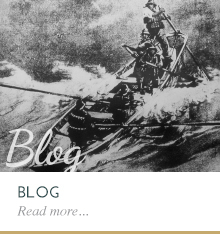 Despite the snow, everybody appeared to enjoy themselves and while doing so, raised important funds to help preserve our 1861 Whitefish Point Lighthouse. 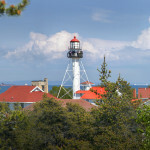 This light has been guiding ship traffic since Abraham Lincoln was President of the United States, and still operates today…making it the oldest operating lighthouse on Lake Superior. We would like to thank all of you who participated, all of our volunteers and our sponsors for making this race possible. 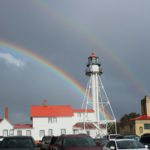 You are helping to preserve the history that makes Whitefish Point such an important place. 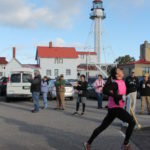 Thank you, and we’ll see you at the 9th Annual Whitefish Point: Run for the Light, on October 12, 2019. 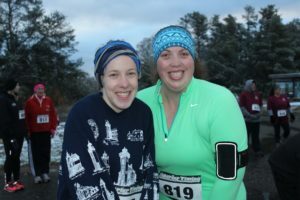 Watch our website for update(s) regarding next year’s race, and think about joining us in 2019. Thanks again! Download Registration Form or Register Online or call 906-635-1742. Time: Foghorn Start at 8:30 a.m. 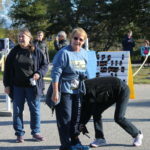 Registration: Register onsite at the Shipwreck Coast Museum Store (through October 12, until 6 p.m.) or online at www.Active.com (through October 12 by 1 p.m.) or download Race Registration Form and mail with payment (received by October 10). Onsite registration will not be available the day of the race. 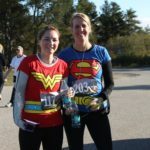 Race Packets may be picked up Friday, October 12, from 12 p.m. to 7 p.m. and Saturday, October 13, from 7 a.m. to 8 a.m. at the Shipwreck Coast Museum Store. 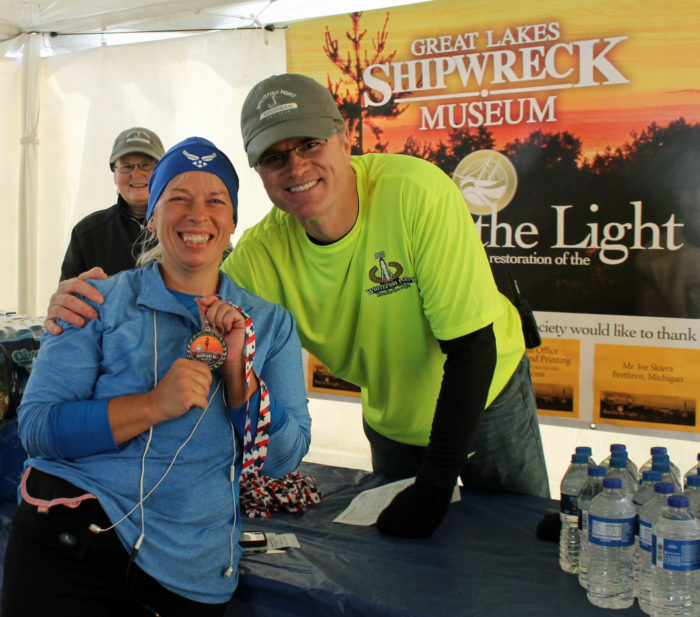 All participants will receive a 2018 Whitefish Point: Run for the Light Dri-FIT T-Shirt with Race Packet and receive special admission Group Visit rate of $9 (regularly $13) to the Shipwreck Museum. Awards to top two finishers in each Age Group, Male and Female, in each Race Event (10K Run and 5K Run/Walk). 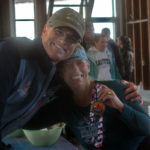 Awards to overall Top Finishers, Male and Female in each Race Event. Course: Chip Timing, Flat Paved Roadway. Participants are encouraged to wear Halloween costumes! This is a family friendly (and dog friendly) event, it’s just a lot of fun with some serious competition thrown in. Refreshments and awards ceremony in the recently restored Motor Lifeboat House, next to the Shipwreck Coast Museum Store. No refunds, transfers or deferrals on race applications. We have expanded our age groups this year too! 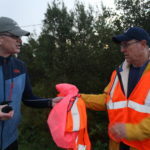 Our annual Whitefish Point: Run for the Light would not be possible without our awesome volunteers. 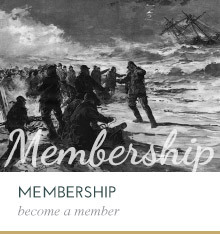 Call the Shipwreck Society office at (906) 635-1742 or email swilde@shipwreckmuseum.com to sign up. Positions available at the registration tables, start and finish line, and along the course at the two turn around points. 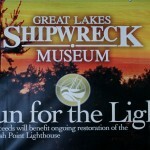 Volunteers recieve a Whitefish Point: Run for the Light Dri-FIT T-Shirt and Museum Pass. Sponsors will be acknowledged via our website, onsite banner during race awards, social media, GLSHS Newsletter and at the award ceremony after the race. Paradise Shores Cabins , 8442 N. Whitefish Point Road, Paradise, MI, 49768. Visit www.paradiseshorescabins.com or call 906-492-3320. Beautiful lakeshore cabins on Whitefish Bay. Thank you Melody Ricci for your sponsorship and welcome to Paradise! Art Store, 807 Ashmun St, Sault Ste. Marie, MI 49783. Email artstore@lighthouse.net or call Don at 906-632-7435 and check out his new location in the Soo. Find him on Facebook too. Thank you Don for your sponsorship this year! Albert Heating & Cooling, Inc. 3147 S M-129, Sault Ste Marie, MI, 49783. Call 906-632-6900. Thank you for your sponsorship! Barish’s Footware & Apparel, 321 Ashmun Street, Sault Ste Marie, MI 49783. Call 906-635-9885. Thank you for your sponsorship! Brown Fisheries Fish House, Paradise, MI. Call them at 906-492-3901 and find them on Facebook too. Thank you Cathy for you sponsorship! Ebbys (awesome food truck in Paradise, love your tacos), PO Box 307, Paradise, MI 49768. Visit www.paradisepartyplanners.com, email paradisepartys@yahoo.com or call 906-291-1268. Thank you Deborah Skeans for your sponsorship this year! Edward D. Jones: Bill McLeod 939 E Portage Ave., Sault Ste Marie, MI, 49783. Email Bill McLeod at bill.mcleod@edwardjones.com or call 906-632-4985. 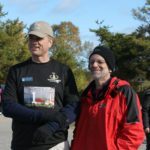 Thank you Bill for your sponsorship! Falls Building Center 8196 N M-123, Paradise, MI, 49768. Email fbc@sault.com or call 906-492-3005. Thank you for your sponsorship! Harmony Mobile Veterinary Clinc PL Jill Lynn D.V.M., 5101 S Shunk Road, Sault Ste Marie, MI, 49783. Email harmonymobilevet@yahoo.com or call 906-630-1413. Thank you Dr. Jill for you sponsorship! Healthy & Fit Magazine Mid-Michigan’s Original Health and Fitness Publication. For more information please call 517.599.5169. Thank you for your support! Lori Landendorf CPA 301 E. Ann Street, Sault Ste Marie, MI, 49783. Email Lori Landendorf at lori@langendorfcpa.com or call 906-632-6344. Thank you Lori for your sponsorship! MAS/Whitefish Point Bird Observatory Email birds@michiganaudubon.org or call 517-580-7364. Thank you for your support! Mountain Stone (A Division of Aggregates America), 3060 W. M28, Brimley, MI 49715. Call 906-635-9191 or email Aggregates@lighthouse.net for more information. Thank you Jim Bourque for your support! Warren and Colleen Mullen, Paradise, MI, 49768. Thank you for your support! Paradise Area Chamber of Commerce Gateway to Tahquamenon Falls and Whitefish Point. Thank you for your support! Paradise Recreational Sports 8165 N M-123, BO Box 324, Paradise, MI, 49768. Email paradiserecsports@yahoo.com or call 906-492-3640. Thank you Greg for your support! Paradise Shores Cabins, 8442 N. Whitefish Point Road, Paradise, Michigan 49768. Call 906-492-3320 or email info@paradiseshorescabins.com for more information. Check out their Facebook page too. Pro Sports Bike Shop 2621 Ashmun St., Sault Ste Marie, MI, 49783. Email Dave Bourgeault at sooprosports@hotmail.com or call 906-632-8161. Thank you Dave for your sponsorship! Sault Historic Sites, 501 E Water Street, Sault Ste Marie, MI, 49783. 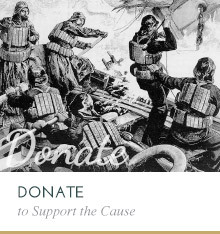 Email Rich at admin@saulthistoricsites.com, or call call 906-632-3658. Thank you Rich for your sponsorship! Sault Ste. Marie Convention & Visitors Bureau PO Box 1000, 225 E Portage Ave., Sault Ste Marie, MI, 49783. Email Linda Hoath at admin@saultstemarie.com or call 906-632-3366. Thank you Linda for your sponsorship! Soo Locks Boat Tours, PO Box 739, Sault Ste Marie, MI 49783. Email sales@soolocks.com or call 800-432-6301for more information. Thank you for your support! Steuer Excavating Inc., 6725 Birch Lake Road. Call 231-264-1100 for more information. Thank you Carl and Kim Steuer for your support! Strongs Motel and Tavern, 28952 W M28, Eckerman, MI, 49728. 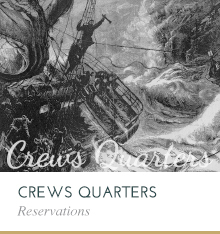 Email Heather at heather@strongstavern.com or call 906-274-5548. Thank you Heather for your sponsorship! Superior Insurance Agency, 3175 I-75 Business Spur, Sault Ste Marie, MI, 49783. Call 906-635-3337 or email Bill Goldenbogen at billg@superiorsault.com for more information. Thank you agent Bill for your support! Tahquamenon Falls Brewery and Pub PO Box 26, Newberry, MI, 49868. Email Lark Ludlow at hlarkludlow@jamadots.com or call 906-492-3300. Thank you Lark for your sponsorship! Whitefish Township PO Box 350, Paradise, M,I 49768. 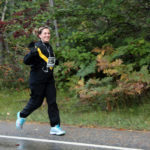 Thank you Whitefish Township with Ambulance/Fire Truck support onsite the day of our Whitefish Point: Run for the Light!